I have often wished I had the talents and spiritual gifts of other people. How silly it is of me when I forget that other people are given gifts to bless me and not impress me. When they use their gifts for the good of all, that includes me. I receive the benefit by their shining work. 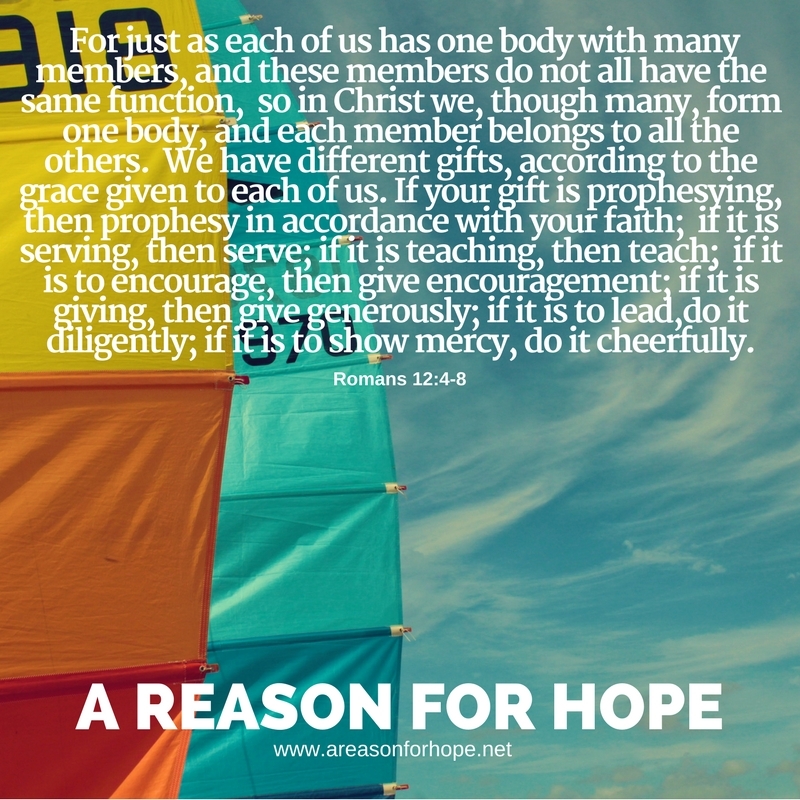 Help me to see what my gifts are and to use them faithfully to bless my church family. Give me the wisdom and humility to be the best me that I can be for you and them. And where gifts are lacking in our church, raise up new men and women, boys and girls that will deny themselves the cushion of laziness and self indulgence to step out and round out your team around me. When you are using your spiritual gift faithfully it will feel like wind is in your sails validating you with confidence and pleasure.